Portugal and Spain broke temperature records as a wave of heat from North Africa swept across the Iberian peninsula. According to the officials, the temperature might get worse over the weekend. Temperatures have reached 45 degrees Celsius (113 degrees Fahrenheit) Friday in many inland areas of Portugal and are expected to reach at 47 C (116.6 F). A lot of Portugal sections are on red alert on the Civil Protection Agency’s danger scale. 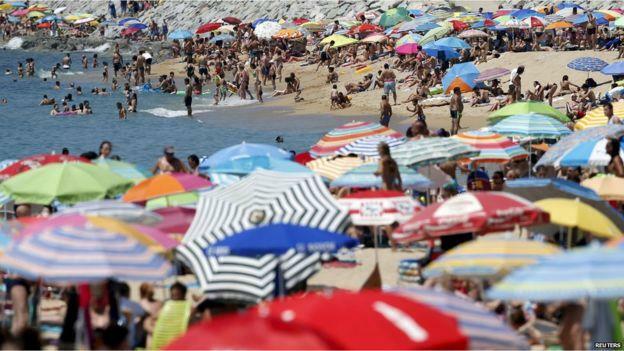 On Thursday, the highest temperature was recorded, the heat began to rise, and it reached 45.2 C (113.4 F) near Abrantes, a town 150 kilometers (93 miles) northeast of the capital, Lisbon, the country’s weather agency IPMA said. In Portugal’s southern Alentejo province, streets were largely deserted. Some farmers chose to work during the night instead of in the heat of the day. Beaches around Lisbon, the capital, were packed. Some 400 firefighters and five water-dropping aircraft, meanwhile, were battling a wildfire in southern Portugal’s Algarve region. Three men have died from heatstroke in Spain as Europe sweltered in a record heatwave on Friday, with temperatures hitting a scorching 45 degrees Celsius (113 Fahrenheit). The World Meteorological Organization says continental Europe’s record is 48 C (118.4 F) in Greece in 1977. Sweden was still under threat from wildfires, which in recent weeks have extended into the Arctic Circle. Sweden’s Civil Contingencies Agency warned of “a high risk” for wildfires in central and southern Sweden this weekend because of the continuing dry weather and strong winds. And over in Britain, an unusually long, torrid summer has taken its toll on the country’s flowers. The supermarket chain Morrisons has begun selling “wonky” flowers that have not developed properly. 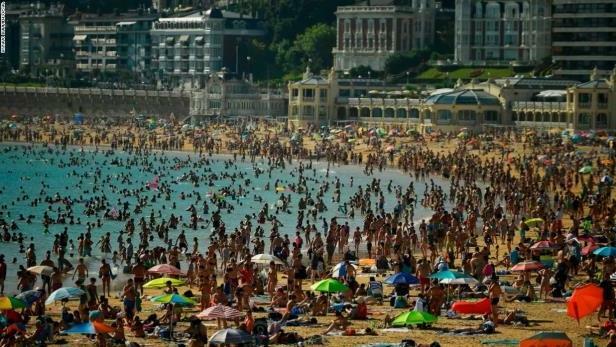 The UK’s Met Office weather service says July was the country’s third-warmest month in more than a century. In Moscow, as temperatures rose to close to 30 C (86 F), city authorities announced they were opening hundreds of “cool rooms” where residents could rest amid air conditioning, with water dispensers and medical attendants.